For more than 30 years, Nancy Nekvasil has served the College as a biology professor, then provost, and now Interim President. Her love and compassion for the students is contagious. 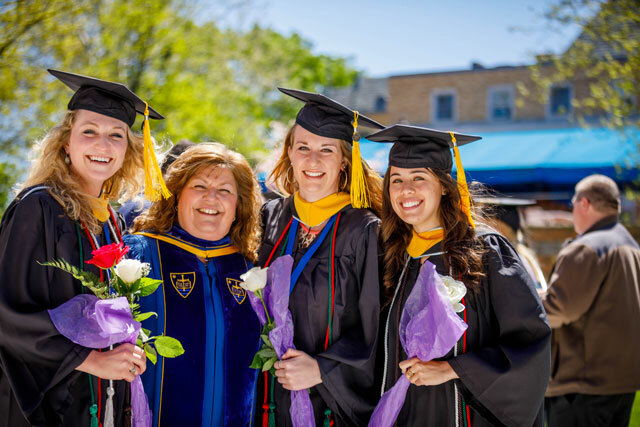 As Professor Dorothy Feigl put it in the magazine, "Ask a dozen graduates who worked with her, and you will hear a dozen versions of unique experiences that made a positive difference in their careers and lives." Nekvasil is traveling this spring semester to meet many of our alumnae, parents, and friends of the College. 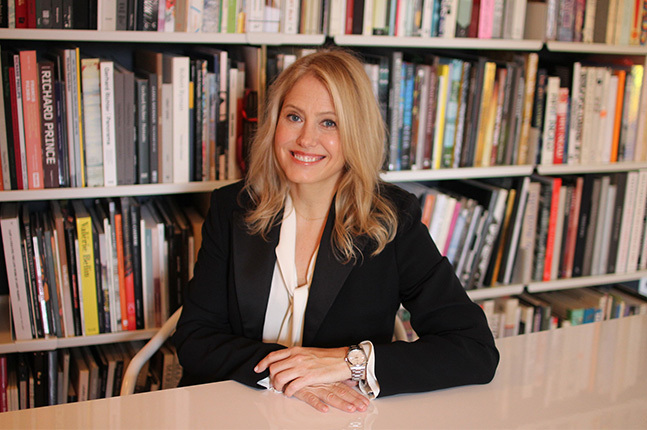 We hope you can meet her if you don't already know "Dr. N."
Andrea Hazen’s ’91 most recent major project is One Bennett Park in Chicago. The new 70-story residential tower in Chicago’s Streeterville neighborhood features culturally relevant, museum-quality artwork. The project allowed Hazen to return to the city where she began her career. Hazen’s curated collection has been featured in RE Journals, Artecase, Whitewall, and Forbes. Her approach to art advising has been inspired by her Saint Mary’s education. “There are different approaches when it comes to collecting and installing art but I find I like to take a holistic approach; being respectful of both the art and the context in which it is installed,” she told Artecase. 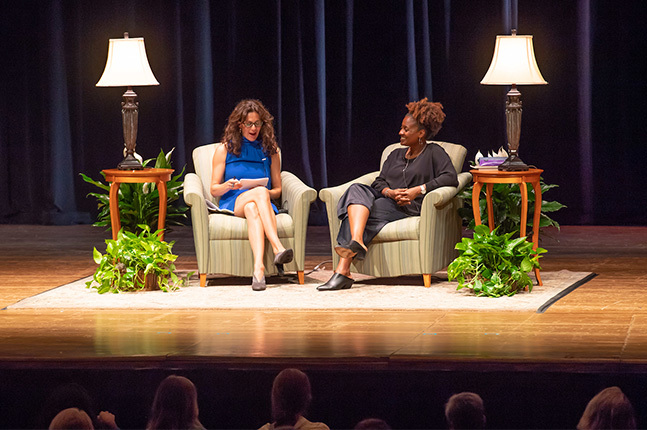 Last semester we welcomed the PLOTUS Tracy K. Smith to campus. We also invited local high school students to participate in a poetry workshop led by Smith to inspire their writing and discover their authentic voices. 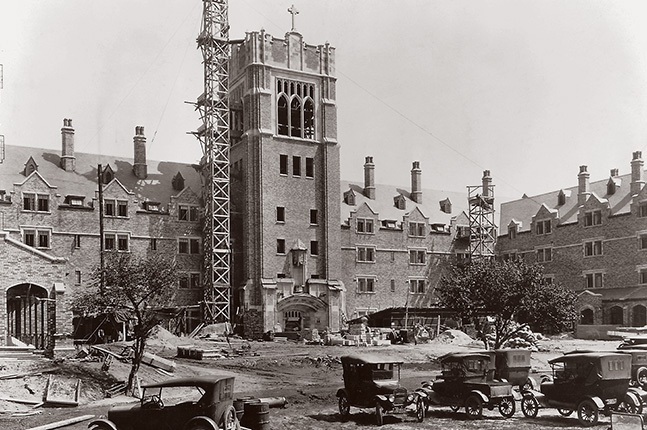 As many alumnae know, the Saint Mary’s class ring is much more than a piece of jewelry. 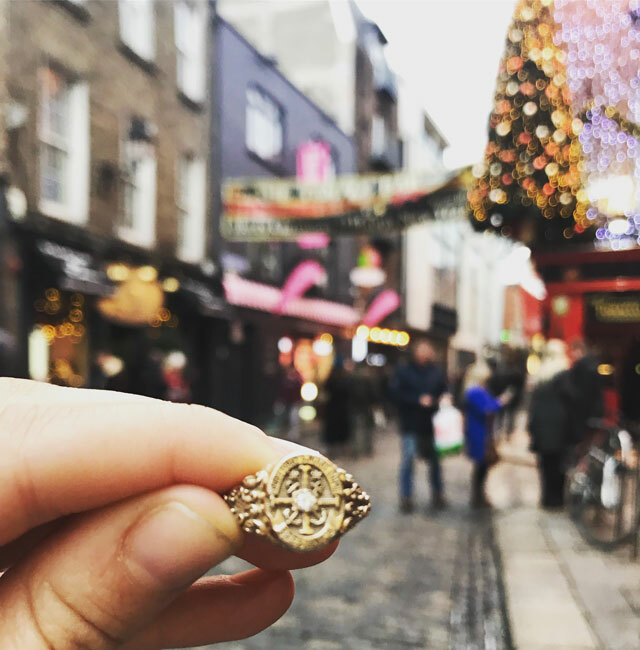 If you saw our Instagram post this winter, you know that the College’s Facebook page received a message from a woman who found a Saint Mary’s ring in Temple Bar in Dublin in mid-December. It had been missing for four years and oddly enough, the very next week our assistant editor Haleigh Ehmsen '16 was headed to Dublin for another Belle’s wedding. She was able to retrieve the ring and has plans to reunite it with its owner, Kelly Konya '15, in February. We would love to hear where you’ve taken your ring and how it has brought you together with fellow Belles.